Window washing is probably one of the most dreaded cleaning chores there is. It’s messy and tedious but it doesn’t have to be. By using my 7 simple window cleaning tips you can turn this task into your favorite chore. Ok, well maybe not your favorite, but at least you won’t dread washing your windows like you used to and your windows will sparkle! 1. Take down the curtains and put them in the wash or set them aside if you take them to the cleaners. When I wash my windows, I usually use it as an opportunity to change the curtains. If you aren’t changing the curtains wash them or give them a once over with a hand vacuum. If I am not washing them that day, I spray them with with a fabric refresher spray. 2. Use a hand broom or hand vacuum to get rid of any dirt or dust on and around the windowsill. Pay attention to the corners, where dust tends to build up. 3. You don’t need an expensive glass cleaner to get clean sparkling windows. A container of hot water with some dish washing liquid such as Dawn and 1/4 cup of white vinegar is the perfect window cleaner and it’s inexpensive too! Use a soft, natural sponge or a soft cloth so that you don’t scratch your windows. 4. You can use paper towels or balled up newspaper to wash your windows. Newspaper is the cheaper way and it really does work great without leaving streaks. A squeegee is also an easy, neat way to clean your windows. I prefer using a squeegee, especially when I wash the outside of the windows, but use whatever works best for you. If you are using a squeegee, be sure to get an extension pole for reaching the tops of the windows, it’s a time saver and a back saver! 5. Put an old towel along the windowsill or floorboard to catch any drips when you are washing the windows. It will protect the surface and allow you to avoid extra cleaning. 6. Did your kids get sticker happy and put a bunch of stickers on your window? Use a soft clean cloth soaked in rubbing alcohol, vodka or lemon juice and gently rub the stickers with it. It will help to dissolve the glue and make removal a lot easier without leaving a sticky spot on your window. 7. Wipe your windowsills and window moldings with a dryer sheet to prevent dust from building up. You probably won’t ever love washing windows, but you don’t have to hate it! Use my 7 simple window cleaning tips to make it faster and easier to get your windows crystal clear and sparkling clean. 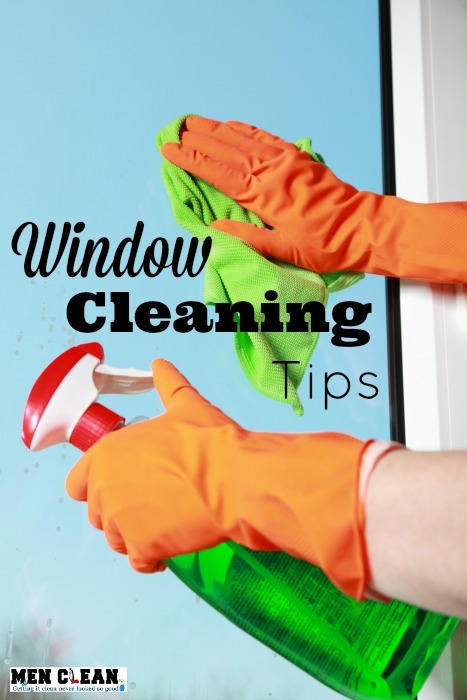 Do you have Window Cleaning Tips? Share it with us below.